Somehow I don't think the government planned on their crim-tags becoming fashion accessories. This kid was very proud of his. 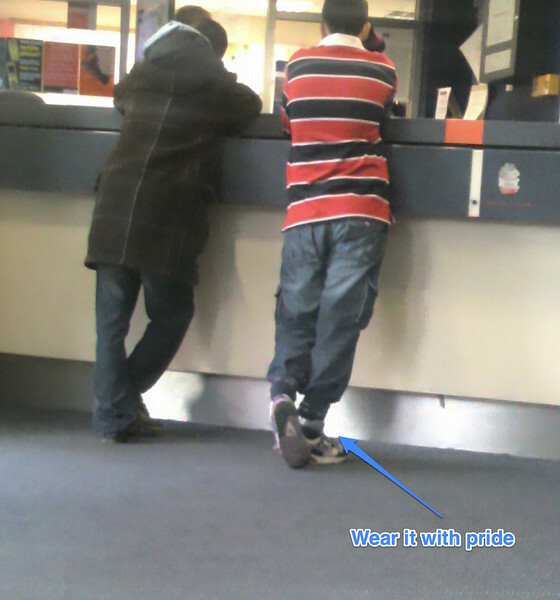 He had it over his sock and his trouser leg tucked into his sock. He and his mate were also very obnoxious little sods.